Former Australian captain Steve Smith will miss the next two matches of the ongoing Bangladesh Premier League (BPL) due to an elbow injury. Smith, who has played just two matches in the tournament so far, will return to Australia for further medical treatment and is likely to rejoin his squad Comilla Victorians if there isn't any significant damage. 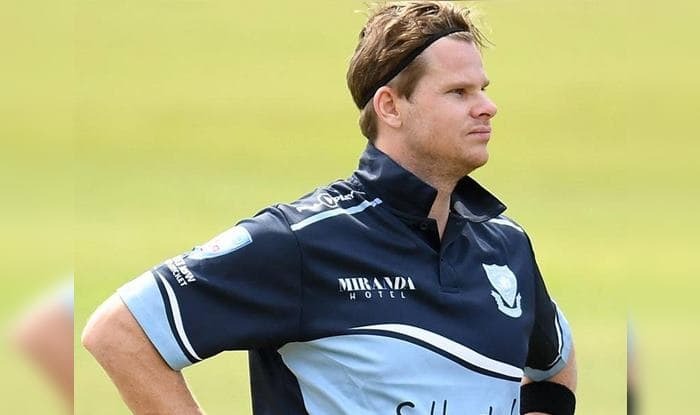 Former Australian captain Steve Smith will miss the next two matches of the ongoing Bangladesh Premier League (BPL) due to an elbow injury. Smith, who has played just two matches in the tournament so far, will return to Australia for further medical treatment and is likely to rejoin his squad Comilla Victorians if there isn’t any significant damage. “He is quite positive about returning, possibly during the Sylhet phase of the competition. He will undergo an MRI in Australia, which isn’t available in Bangladesh, and will inform us about it,” ESPNcricinfo quoted Victorians media manager Sohanuzzaman Khan, as saying. In the two games so far, Smith has scored just 16 runs, including a duck in the last match. Victorians are currently ranked number five in the points table of the T20 tournament and are slated to take on Rajshahi Kings on January 11 in their next clash. Smith, who is serving a 12-month suspension for his role in the massive ball-tampering scandal during a Test series against South Africa in March, is not allowed to participate in international and domestic Australian cricket. He, however, participated in the Global T20 Canada league and the Caribbean Premier League in July-August. Recently, he also led his grade side Sutherland to victory in the New South Wales Premier T20.